Simple, clean lines give this cocktail table a fresh contemporary feel. A vertical divider creates two open compartments perfect for storing or displaying coffee table books and magazines. The rustic finish adds warm tones for a look that radiates relaxed sophistication. 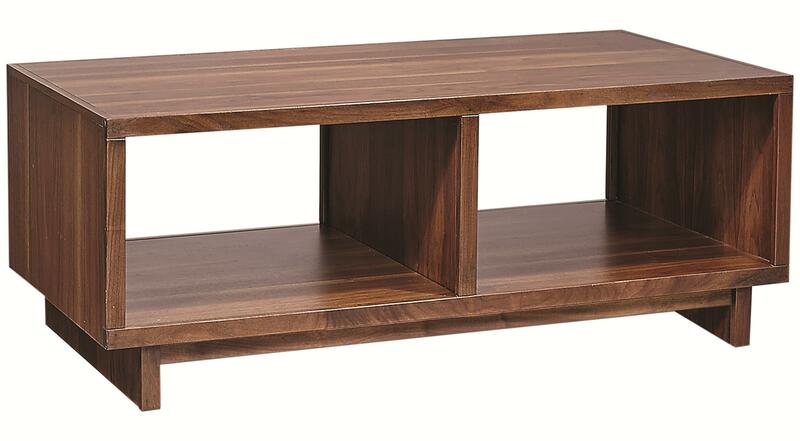 The Walnut Heights Cocktail Table by Aspenhome at HomeWorld Furniture in the Hawaii, Oahu, Hilo, Kona, Maui area. Product availability may vary. Contact us for the most current availability on this product. Invite friends and family into a warm and welcoming environment for entertaining with help from the Walnut Heights collection. The collection features a variety of consoles and accent tables that offer ample storage space and casual contemporary style. 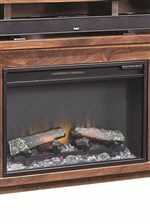 Fireplace inserts in select consoles emit a steady glow and fill any room with warmth, creating a truly cozy atmosphere for you to enjoy. Simple lines and geometric shaping defines the collection, which is available in either a lighter Amber finish or a darker Stout finish. Darker tones on select case interiors offset the natural finishes, creating a great backdrop for any pieces you'd like to display. 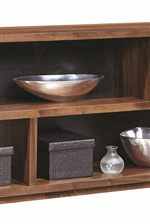 Relaxed, yet sophisticated, Walnut Heights offers versatile storage and entertainment pieces with a modern perspective. The Walnut Heights collection is a great option if you are looking for Contemporary furniture in the Hawaii, Oahu, Hilo, Kona, Maui area.